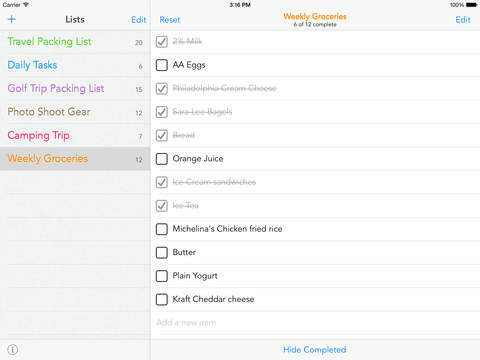 A simple iCloud-enabled, iOS 8 optimized app to manage all your checklists. 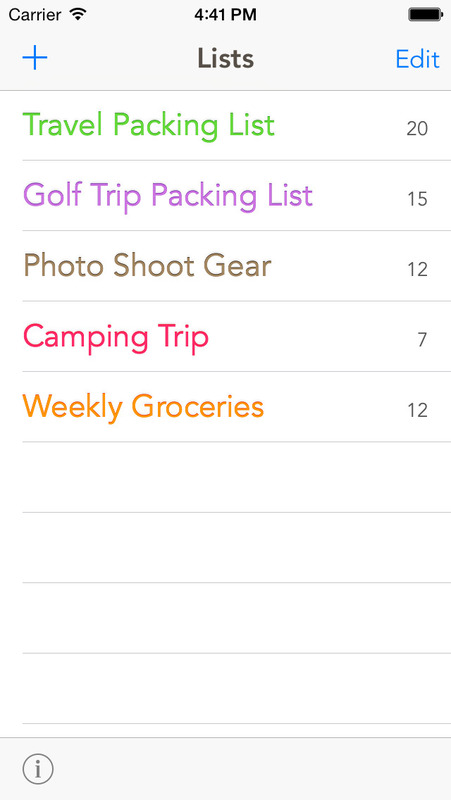 Use it for things like travel packing lists, daily tasks, home inspections, gear to bring to a photo shoot, grocery lists and so much more. 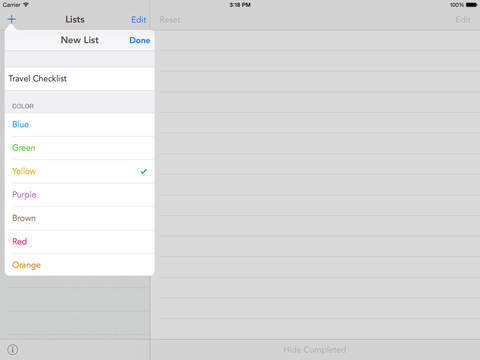 This is different from a Reminders or Todo’s app because each list can be reset and reused over and over again. 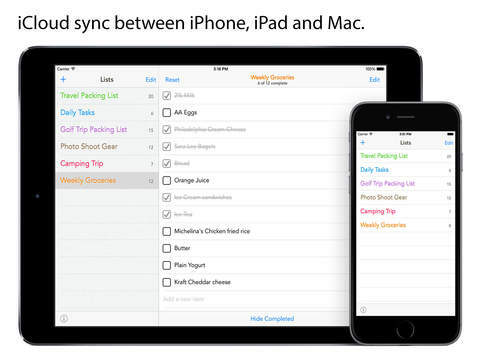 Your data is stored in iCloud, and automatically syncs between iPhones, iPads and Mac. A desktop Mac version is also available. Please search for Check Check in the Mac App Store. 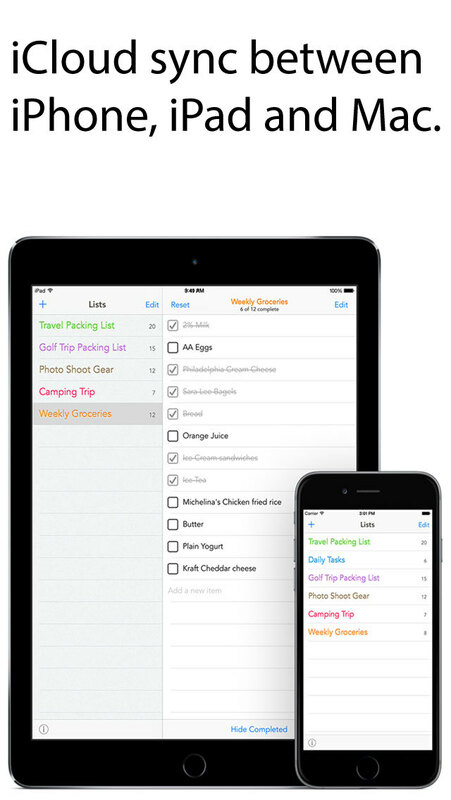 Fully optimized for iOS 8, iPhone 6, iPhone 6 Plus and new iPads.